Margaret Durrell, younger sister to Lawrence and older sister to Gerald, is known to the world via her depictions in Gerald’s Corfu Trilogy and in a handful of his other autobiographical stories. There, known as ‘Margo’, she is portrayed as a rather scatterbrained young woman, prone to malaproprisms like ‘it never rains but it snows’, and with an interest in diaphanous garments, doomed romantic encounters and skin cream. What is rather less well known is that Margo also turned her hand to writing. Apparently written sometime in the 1960s, her autobiographical book, Whatever Happened to Margo, describes her adventures as a Bournemouth landlady in 1947. 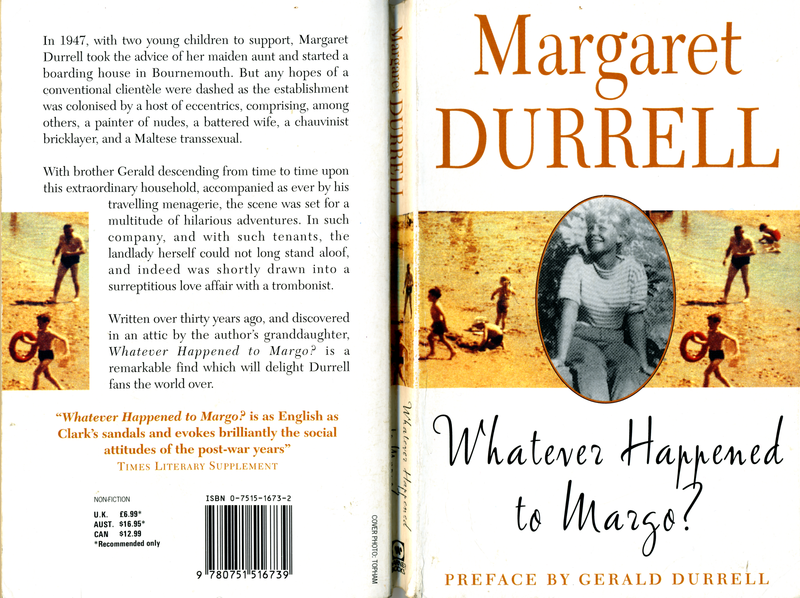 Margo also includes a good splash of Gerald-style Durrell family antics, particularly mentioning Gerald several times. Here’s the thing, though – though the book is supposed to have been written sometime in the 1960s, when both Lawrence and Gerald had become well-known writers, Whatever Happened to Margo was published only in 1995. The story goes that Margo’s manuscript was forgotten about and later discovered in an attic. Why was Margo’s book not published at the time? It does seem that she intended her memoir for publication. Lines like this one, addressed to ‘readers’ and referencing Gerald’s popular tome do give the impression that Margo intended her book as part of the Durrell canon. The Durrell menage had fled Bournemouth in the thirties to bask in the magic of a Greek island… the appealing account by my brother Gerald in My Family and Other Animals will surely entice any reader to do likewise. It presumably was not meant to languish unseen in an attic for decades. What happened? Whatever Happened was published in 1995, the year of Gerald Durrell‘s very sad death, when presumably there would have been a surge of public interest in his life. 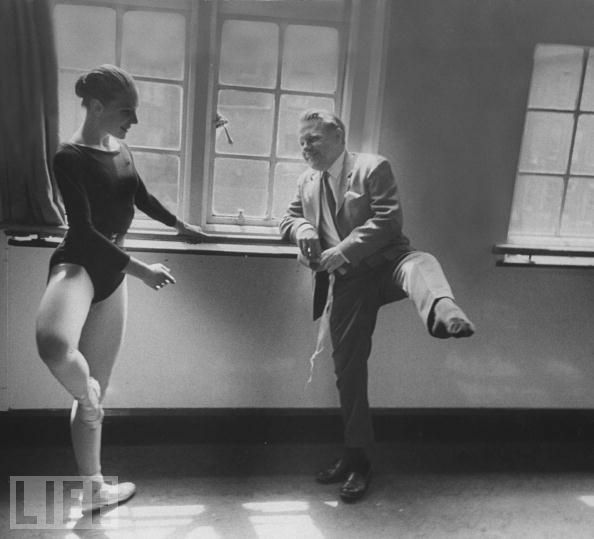 The book also contains previously unpublished photographs of Gerald, and other members of the Durrell family, which one can imagine to have been warmly received by Gerald’s many fans. Perhaps this is why Margo’s book finally saw the light of day. Perhaps in the 1960s or whenever she wrote it, the book was eventually deemed unworthy of publication, and shelved? Or perhaps this manuscript is a first draft that never got any further. Whatever Happened is definitely amusing, and there are plenty of weird and wonderful characters, in the form of Margo’s lodgers and her overbearing relatives, to fill the pages. The problem is that the end result is just not engaging. The dense and frequently disorganized prose is hard to wade through, and I found myself skipping over several pages. There are some funny dialogues, but unlike Gerald Durrell, Margo doesn’t do speech well and her comic timing is off, so the jokes are flubbed or drawn out too long. “Gerald is always saying “gorgeous” to some animal or some female: I’m sick of him. Leslie’s quite right, a bullet would take care of either,'” I said wickedly, feeling daringly voluble, now sustained by liquor. But Mother refused to take sides. “She was a natural blonde, however dumb. That was one thing in her favour,” Leslie said reflectively. As it is, the book appeals only to those who are looking for further tidbits about the Durrell family. 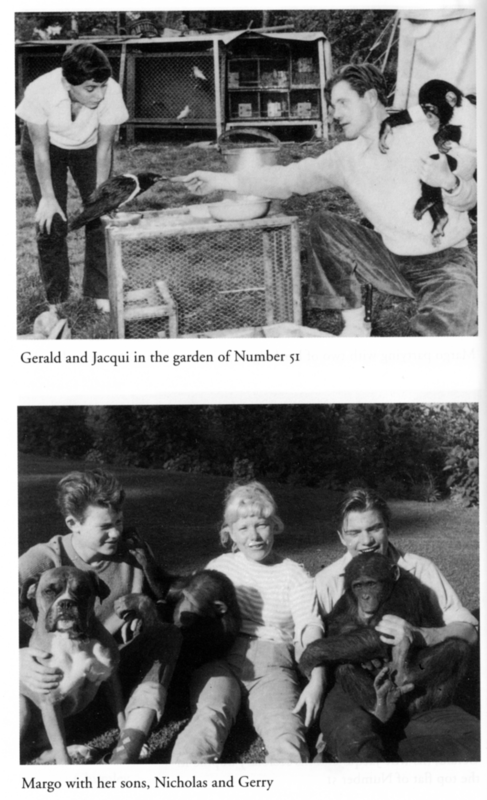 It’s hardly a standalone book, the way My Family and Other Animals is – Gerald’s book is worth reading even if you did not know or care who he was. That’s not the case with Whatever Happened. 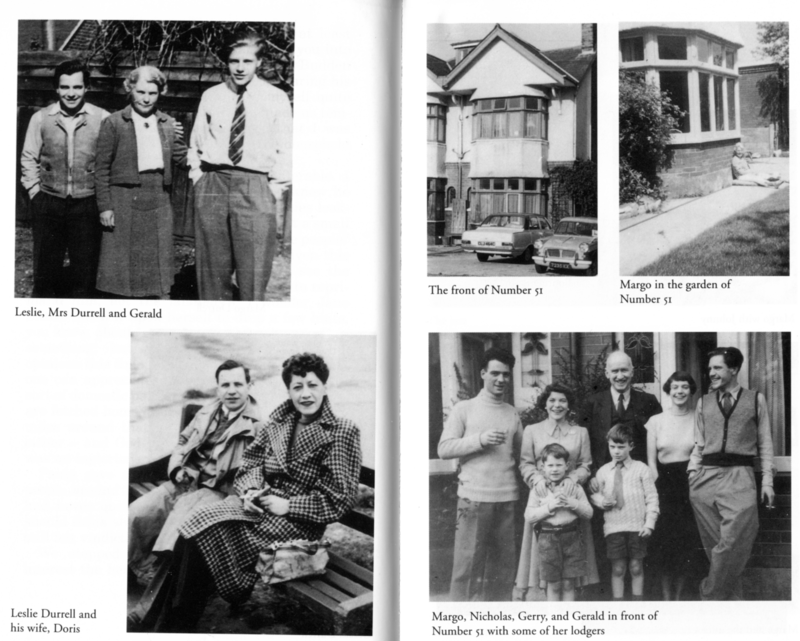 Margo does share her brother’s penchant for flights of fancy (as Gerald points out in his preface) – one does wonder how Margo managed to recall details of conversations that supposedly took place twenty years earlier). A note on that, though – Margo’s story often strays onto the gossipy side. While Gerald did lampoon his family mercilessly, he always portrayed them with affection and good humour. Margo includes personal information about brother Leslie that he might not have wished to be made public. And yes, sharing again the charms of Corfu, looking for and finding the deserted olive groves and sea caves where we were all so happy.